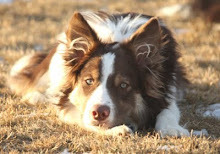 Today's blog in a part of the Dog Agility Bloggers Event on Mental Management! My first reaction was "Holy Cow" this topic is so big. My second reaction was "Holy Cow the more I think about this topic, the bigger it gets!" 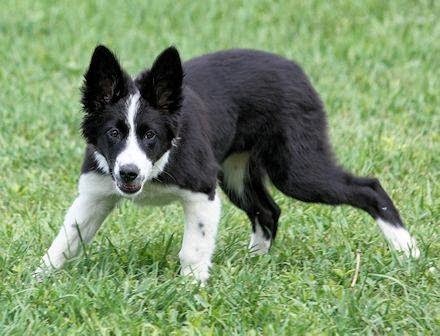 The two aspects of this topic that I am intensely interested in are: 1) the dog's mental game, from ~3 minutes before the run to post run 2) My mental game when I pick up the course maps, right after my walk-throughs, and from ~3 before the run through post run. 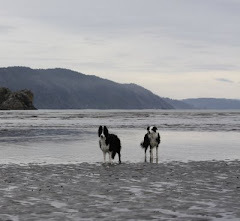 I always remember it is a time that I have carved out in my life to play with my dogs. I keep it special to my heart. I try to enter the ring and leave the ring with a smile on my face and love in my heart for my dogs. 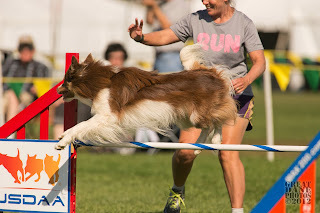 My dogs and I do agility because we love to play together. Breath deeply and enjoy the ride. Every run is part of the journey! For those of you who want to read about my mental game, Rehersals!. 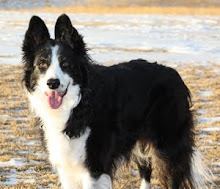 If you want to read how I help my dogs get in the zone, you can read Dr. Jeckle and Mr. Hyde - How my dog and I get ready for our run!. Both of those articles were written for this event, however I need to be in two different places mentally to get them written. Agility is a complicated game mentally. The mental dynamics are unparalleled to my time as a musician. As a musician I only had to worry about me! Getting myself into the zone. 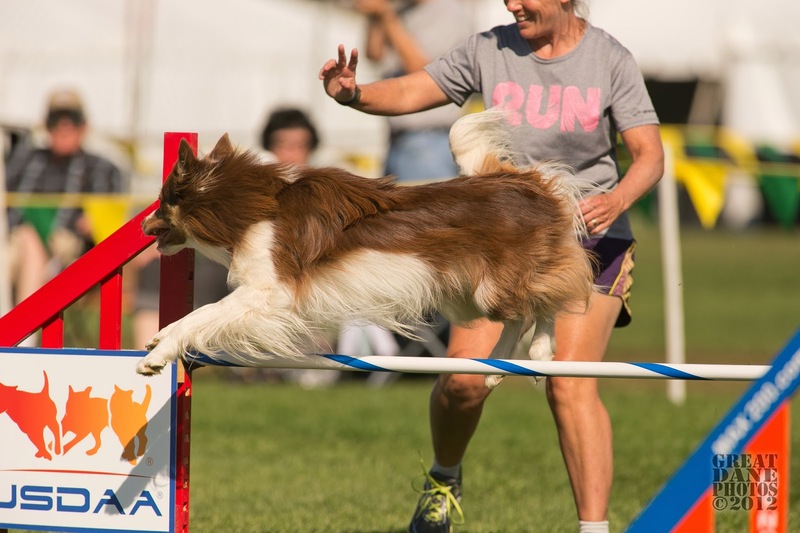 Agility you have to worry about yourself, your dog, switching between your dogs and always being the person that you want to be and who your dogs need you to be! I know, I had a deer in the headlights moment too when I sat down to write about this topic. I could go on for a whole book. As it is I remembered about 6 things I left out after I posted.